There is a bridge near the Lennon wall covered to the brim with locks. Lovers write their initials on the locks and throw the keys into the river. There is also a small romantic restaurant nearby. 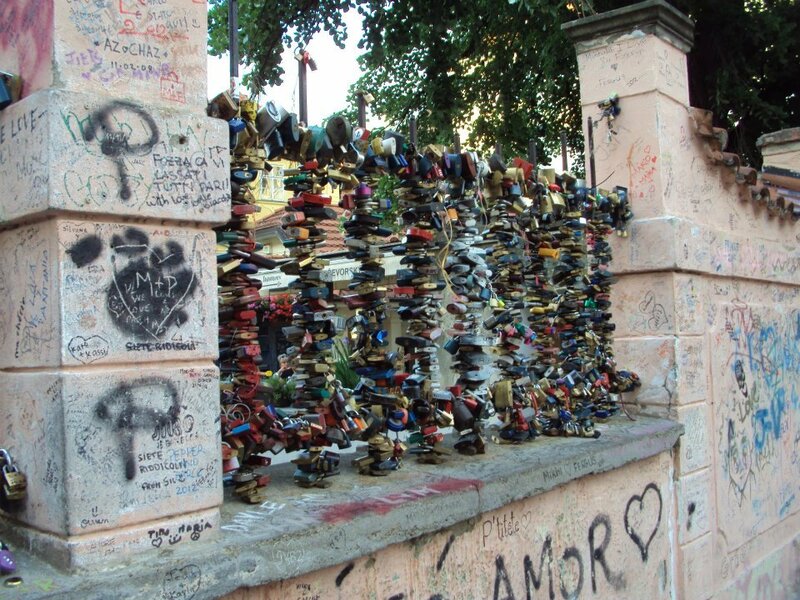 These love lock, or padlock love bridges can be found all over the world. I had never seen one before and was amazed at all the locks, it didn’t look like there was space for anything else and the locks ranged from super tiny to huge and ancient looking.